What does Nancy Drew, The Metropolitan Transportation Authority, Ziggy, and yours truly have in common? We’re all represented by the licensing company Moxie & Company, LLC. 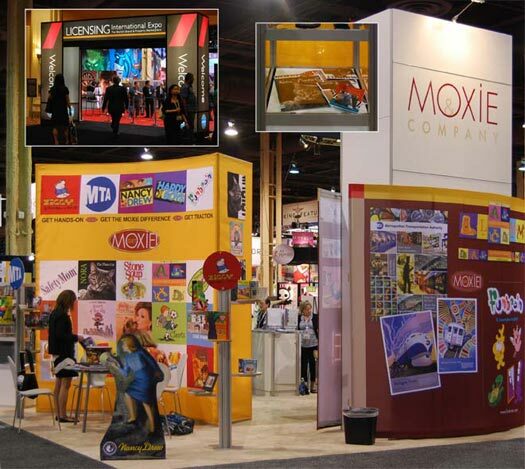 And Moxie’s very own Arlene Scanlon and Laura Becker will be “representing” us all (and many more) at this year’s 2011 Licensing International Expo, June 14-16, at the Mandalay Bay Convention Center in Las Vegas. I won’t be there in person – cats are such homebodies, you know – but don’t let that stop you from dropping by booth #1874 and saying hello to Arlene and Laura. Tell them Nora sent you. P.S. The photo is from last year’s expo. Can’t wait to see what they come up with this year!